Native Americans living in the Amazon bear an unexpected genetic connection to indigenous people in Australasia, suggesting a previously unknown wave of migration to the Americas thousands of years ago, a new study has found. "It's incredibly surprising," said David Reich, Harvard Medical School professor of genetics and senior author of the study. "There's a strong working model in archaeology and genetics, of which I have been a proponent, that most Native Americans today extend from a single pulse of expansion south of the ice sheets—and that's wrong. We missed something very important in the original data." Previous research had shown that Native Americans from the Arctic to the southern tip of South America can trace their ancestry to a single "founding population" called the First Americans, who came across the Bering land bridge about 15,000 years ago. In 2012, Reich and colleagues enriched this history by showing that certain indigenous groups in northern Canada inherited DNA from at least two subsequent waves of migration. The new study, published July 21 in Nature, indicates that there's more to the story. 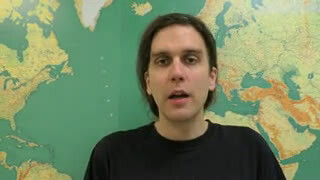 Pontus Skoglund, first author of the paper and a postdoctoral researcher in the Reich lab, was studying genetic data gathered as part of the 2012 study when he noticed a strange similarity between one or two Native American groups in Brazil and indigenous groups in Australia, New Guinea and the Andaman Islands. "That was an unexpected and somewhat confusing result," said Reich, who is also an associate member of the Broad Institute of Harvard and MIT and a Howard Hughes Medical Investigator. "We spent a really long time trying to make this result go away and it just got stronger." Skoglund and colleagues from HMS, the Broad and several universities in Brazil analyzed publicly available genetic information from 21 Native American populations from Central and South America. They also collected and analyzed DNA from nine additional populations in Brazil to make sure the link they saw hadn't been an artifact of how the first set of genomes had been collected. The team then compared those genomes to the genomes of people from about 200 non-American populations. The link persisted. 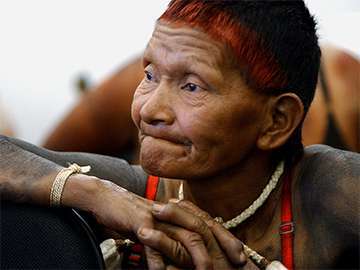 The Tupí-speaking Suruí and Karitiana and the Ge-speaking Xavante of the Amazon had a genetic ancestor more closely related to indigenous Australasians than to any other present-day population. This ancestor doesn't appear to have left measurable traces in other Native American groups in South, Central or North America. The genetic markers from this ancestor don't match any population known to have contributed ancestry to Native Americans, and the geographic pattern can't be explained by post-Columbian European, African or Polynesian mixture with Native Americans, the authors said. They believe the ancestry is much older—perhaps as old as the First Americans. In the ensuing millennia, the ancestral group has disappeared. "We've done a lot of sampling in East Asia and nobody looks like this," said Skoglund. "It's an unknown group that doesn't exist anymore." The team named the mysterious ancestor Population Y, after the Tupí word for ancestor, "Ypykuéra." Reich, Skoglund and colleagues propose that Population Y and First Americans came down from the ice sheets to become the two founding populations of the Americas. "We don't know the order, the time separation or the geographical patterns," said Skoglund. Researchers do know that the DNA of First Americans looked similar to that of Native Americans today. Population Y is more of a mystery. "About 2 percent of the ancestry of Amazonians today comes from this Australasian lineage that's not present in the same way elsewhere in the Americas," said Reich. However, that doesn't establish how much of their ancestry comes from Population Y. If Population Y were 100 percent Australasian, that would indeed mean they contributed 2 percent of the DNA of today's Amazonians. But if Population Y mixed with other groups such as the First Americans before they reached the Americas, the amount of DNA they contributed to today's Amazonians could be much higher—up to 85 percent. To answer that question, researchers would need to sample DNA from the remains of a person who belonged to Population Y. Such DNA hasn't been obtained yet. One place to look might be in the skeletons of early Native Americans whose skulls some researchers say have Australasian features. The majority of these skeletons were found in Brazil. Reich and Skoglund think that some of the most interesting open questions about Native American population history are about the relationships among groups after the initial migrations. "We have a broad view of the deep origins of Native American ancestry, but within that diversity we know very little about the history of how those populations relate to each other," said Reich.